The year is 1964. Imagine a country where you are a slave. You have no rights. You cannot attend public schools, the public library, eat in restaurants, enjoy parks, go to churches, or attend movie theaters. You cannot vote or meet and organize with others like yourself who are denied these rights. That country is the United States of America in the State of Mississippi. You are black. 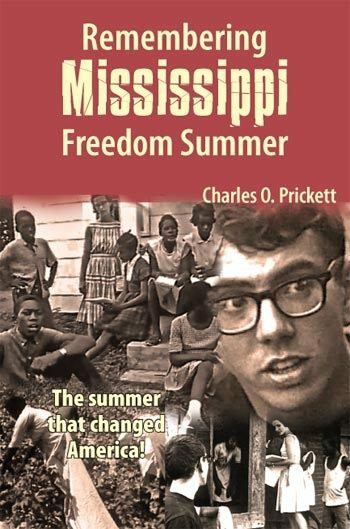 “Remembering Mississippi Freedom Summer” is a first-person account of Charles Prickett, a college student and civil rights activist, who worked during the Mississippi Freedom Summer of 1964. 1. Freedom Schools tried to fill in the gaps left by a segregated educational system that denied black citizens a quality education. 2. The Mississippi Freedom Democratic Party tried to give a political voice to disenfranchised black citizens. 3. Black farmers were organized so they could share in federal programs that support agriculture. 4. Voting registration drives tried to register black citizens to vote. All these efforts were met with violent resistance. What emerges is a triumph of democracy, as Mississippi became the state with more black elected public officials than any other state in the U.S. Unfortunately, these issues persist today in minority communities. Whether reading for your own interest or using the book as a text for teaching about civil rights, “Remembering Mississippi Freedom Summer” chronicles an important piece of our nation’s history. 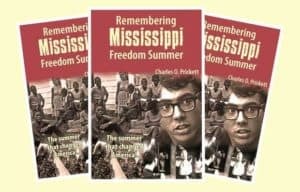 Unlike historical accounts about America’s civil rights movement, “Remembering Mississippi Freedom Summer” is the book written by someone who was there as this compelling story unfolded. Read Charles Prickett’s compelling first-hand account of participating in the events of 1964 that changed America.